Benjamin Franklin, master of productivity, coined this chiasmus. It can can apply to any facet of your life, but of course I find it particularly relevant in how I’ve organized my life. Preparing for success means developing a routine for success and sticking with it. In part, it requires that you find an innate ability within yourself that allows you to examine every root, core, theme, habit etc.. in your life and then be able to organize that into a system. Such a system will give you the ability to fix recurring problems and solve new ones. There’s an app for that - so use it! Although apps can never take the place of focus and discipline, they can certainly make life easier. To say that I’ve used a lot of apps and software in my day-to-day would be an understatement. In fact, my businesses wouldn’t be able to function without many of these apps. Trello and Asana work very well for company task management and delegation, but fall short for organizing work-life balance– and for most of us, work-life balance is constantly evolving. If you organize your business, but fail to organize your personal life, you’ve only accomplished half of it. Fortunately, it’s easy to change trade out productivity apps until you find the one that works best for your current needs. In the past, I’ve used Wunderlist and OmniFocus, which have both worked well. but as my priorities changed, so did my preferences in productivity tools. My primary organizational app today is Todoist. Regardless of what app you choose, make sure that it actually helps you save time, rather than burden you with additional work. Feeling busy or accomplished is never the goal– being productive is. The best productivity apps make it easy to organize and compartmentalize your life according to your personal and business needs. They are cloud based - allowing you to access your folders anywhere, from any device. And they allow for both one time and recurring events, in separate tasks and subtasks. 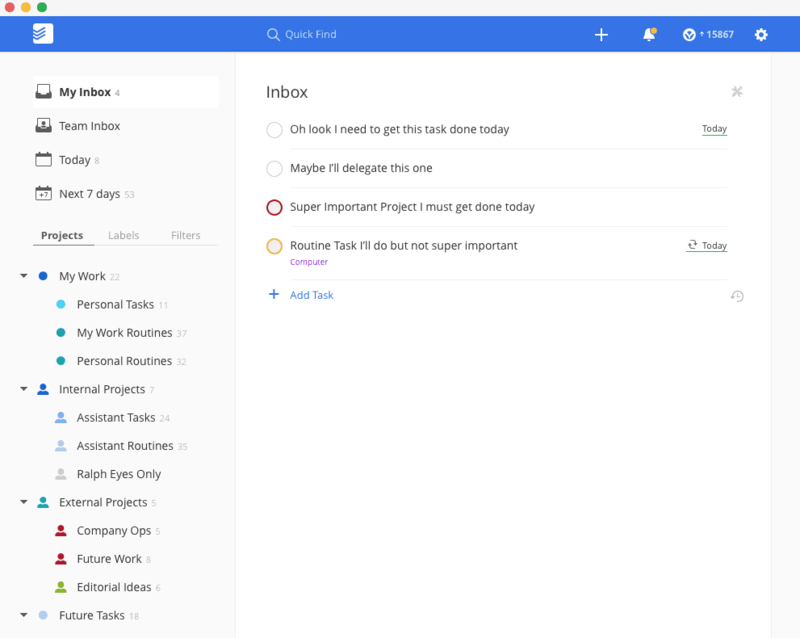 Also, if you need extra motivation, finding an app like Todoist, that adds gamification into the mix, can make the mundane organizational tasks a little more enjoyable. My philosophy is that the more I organize my time and tasks, the more I can accomplish. And the more I can accomplish, the more time I have to do the things that I actually enjoy doing - like flying. While there are a plethora of ways you can organize your day-to-day tasks, your one-time events, and your long-term goals, I have found a format that works great for me - and you are welcome to copy it completely, or at least use it for inspiration. Any tasks that take longer than 60 minutes to perform in any single step and possibly needs to be broken down into multiple instances (ie: recurring) between me and my executive team. Highly-sensitive work for my executive assistant. Tasks that require the assistance of a team of people working together on company-specific projects. Managed by a project manager. Specific items related to operations shared amongst my management team. Any tasks/projects that are unimportant with no specific due date/time frame. Ideas/Blog Posts/Content to be created and shared. Any personal/business tasks far off in the distance future. Any tasks I’m not quite sure how to handle and requires further thought to decide what the next action will be. Outside errands like picking up the mail or going to the store. Any items I consider purchasing, mostly online and due on the weekend. Small house/personal tasks that recur every Saturday (ie: laundry/cleaning/journal etc..). New skills, courses or material I wish to learn or improve on. Can be as big as “get a pilots license” or as small as “take this course on udemy”. Interesting books I’d like to read. Any non-task items where I wish to remind my future self about an issue/problem/thought/bad habit that came up that I’d like to ask if the issue still occurs. I’ve used this to help me prevent doing specific habits or even remembering certain things. Tasks that I know I’d like to do but are not important enough in the present moment/time for me to do them. Instead of continuing to procrastinate on them, I’ll set them aside and move on to more important items. 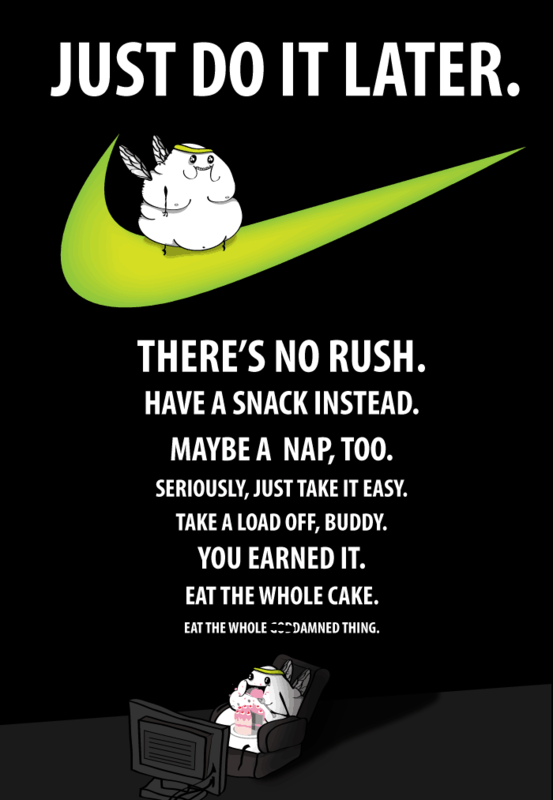 Any tasks or projects that I’ve decided I will not do. This is different from Things on Hold from the fact I’ve decided not to do this and currently have no intention of ever doing it, but the remote possibility exists where circumstances could change in the future. Having one place to store all of my work and personal tasks makes life much easier. Furthermore, by using a tool that allows me to assign tasks to others, I can practically manage my entire life from this single tool. Although your level of detail may not need to be as specific as mine, finding ways to categorize your life can substantially increase your ability to produce. There are many great pieces of wisdom in David Allen’s Getting Things Done. However, one of the most profound is the idea of immediately responding to any email that takes less than five minutes to resolve. 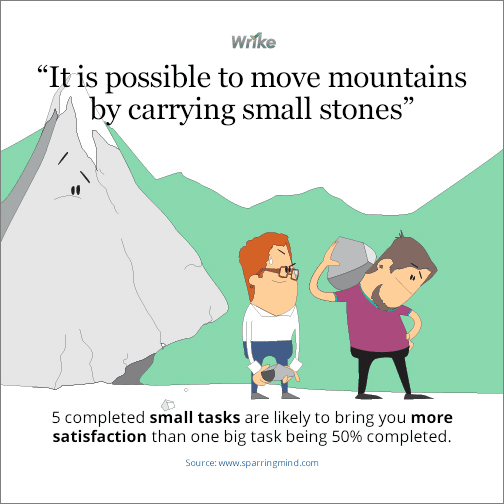 It’s incredibly easy to put off these small 3 minute tasks, but they slowly build up. As you let yourself avoid these tiny tasks, you become mentally drained, thinking that you have far more to accomplish than you do in reality - because of these tiny chores. By taking time to accomplish these tasks right when you discover them, you’ll find yourself in a far more peaceful state of mind. And, when you respond to each of these emails when you first come across them, you keep your inbox clear of these unimportant tasks. Most people (including myself) have a tendency to respond to emails when we feel like it, and leave the rest in the inbox until we are finally able to take time to reply. Even if you reply to your short emails, the more involved tasks can keep your inbox from ever reaching the infamous zero. Not only can this add more anxiety to your life, but it can also cause you to miss deadlines because you forget when an email needs to be resolved. You end up waking up every day working on the really easy emails, responding to new people and leaving all the stuff you really don't want to do at the bottom of your inbox. We all know our willpower is like a muscle, so it's harder to get ourselves to work on the harder stuff later in the day. To account for this, one of the best strategies is to create a #ReplyRequired folder in your inbox (it’s easy with Gmail). Anything that needs to be resolved at some later point can be sent to this folder. The hard part is remembering when to remove the label from an email once you reply. To get around this, it's easiest to set up a recurring weekly task where you go into the folder and remove anything that has already been handled. Furthermore, I go one step further. Another reason why I love Todoist so much is the little button they insert into each email. So on top of moving an email to the #ReplyRequired folder I'll also click the Todoist button which creates a link to the email inside my Todoist Inbox. Then I can archive the email because I've successfully converted the email into a task where I can delegate or post notes/thoughts. This is the epitome of task management and prioritization. It makes you consciously determine when you are going to work on whatever it is you need to do for the person who emailed you. You're not working out of your email anymore and you can determine on your own time what is the most important thing you need to be doing in your day. It’s important to recognize when a tasks is not really a task. For example, let’s say that I need to develop a newsletter for my company, SupportNinja. I add it to my inbox as a task and move on with my day. However, I find myself continually procrastinating on this task. It shouldn’t take that long to accomplish, but I put it off for a week, then several weeks, then a month. Once I finally discovered the reason why, it substantially improved my ability to get stuff done. See, creating a newsletter is not a single task, but a series of tasks. To sit down and do all of it at once can take a bit of time. Therefore, I get carried away thinking about the project and never actually get anything done. By breaking the project down into its tiniest parts, I discover that there are multiple tasks. With this realization, I know exactly what needs to be done and who needs to do it. While I may want to be involved with finding the theme, I can assign an assistant to hook it up to my mailchimp and set up the signup form. Meanwhile, I can reach out to my team of writers to determine who is most suitable to develop the content - and I can assign the tasks to them. Our hypothetical “task” was actually much more. It was a project that needed the involvement of multiple people. When left as a single task, it would have progressed very slowly. However, once it’s split into multiple steps, the process can move much quicker. This one discovery has saved me hours upon hours, and has made it much easier to develop multiple businesses simultaneously. Rather than doing everything myself, once I figure out the game plan I can pass parts of the project off to others and focus on the next strategy element. It doesn’t matter how much you produce if it’s garbage. Therefore, take time to make sure your life is headed in the direction you want. When you’re chin deep in tasks and activities, even if they’re fun, your life can fly by without you ever realizing what happened. So take time to maintain your health, sanity, and relationships. I like to start my morning with meditation and exercise. This gives me time to reflect on what I’m doing, why I’m doing it, and how it fits into my life goals. Other people find it beneficial to take a day a week to reflect on their life and spend time developing relationship. To keep your mind fresh, you need to know why you do what you do. Having a plan for your day is great, but having a plan for your life is how you develop a legacy. There is always something else you can do to improve your life balance. Whether it’s developing a process for responding to emails and scheduling tasks, or coming up with a workout routine, with each new improvement you get that much closer to becoming the best version of yourself. When you think about your current schedule, where is one area where you could start saving time right now? What is one thing you could do to make sure that you have time for the things that matter most to you?